Through our years and extensive experience, we have found the biggest hold out on church’s getting their stained glass windows restored is funding. This is true for Kansas City Churches and others across the US. The fact of the matter is– most churches don’t have thousands of dollars readily available for such repairs. However, we, Kansas City Stained Glass, are here to help. 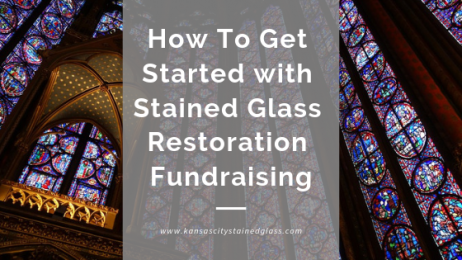 In the past, we have guided many churches in their fundraising journey and as a result, have seen many churches successfully navigate the stained glass restoration fundraising process and get their cherished windows restored. Below are a few tips on how to get started and where to look for funds and, of course, we are happy to brainstorm with your Kansas City church when we meet with you and possibly help you tap into local resources not outlined here. To begin the process of fundraising for your church stained glass restoration, mobilizing your church members is essential. Then choosing those who are most supportive and enthusiastic about the process is the next step. These wonderful people are going to be heavily relied on to help you throughout the process not just in the raising of the funds–so appointing those with an energetic and positive attitude is a must! This may seem obvious but some churches only want to get stained glass restoration funds from inside the church. In cases like these, there is often a deep well of patrons to choose from. However, for smaller churches, or ones that may not have deep-pocketed members, seeking outside help will be necessary. Should you decide to look outside your church, which is common, be aware there are grants available from historical societies and even local businesses help out. Asking businesses for things like donated merchandise or space to hold the event is often very attractive to them over simply writing a check. It is smart and healthy to get the community involved in church stained glass restorations as preserving these windows is essentially bettering the community your church is in. Church stained glass is lovely and historic and often restoration is an inspiring project that people will get behind. When you add creative fundraising to the endeavor it definitely encourages max participation. Of course, traditional fund drives like car washes or selling candy work great but also try thinking out of the box. Maybe a silent auction, involving local businesses or an ice cream social. These are only a few ideas that we have seen churches across the county succeed with. There are so many things churches can do from raising money to getting grant money. We advise you to call us for an initial assessment on your Kansas City church stained glass so you have a real number to work towards. Reach out to us today to schedule a visit and to take that first step toward preserving your church’s lovely stained glass. Kansas City is known for all of its incredible church stained glass features that are vibrant with historical and community value. With many of these churches reaching the 100-year age range, their stained glass windows are starting to deteriorate and showcase telltale signs of required restoration. 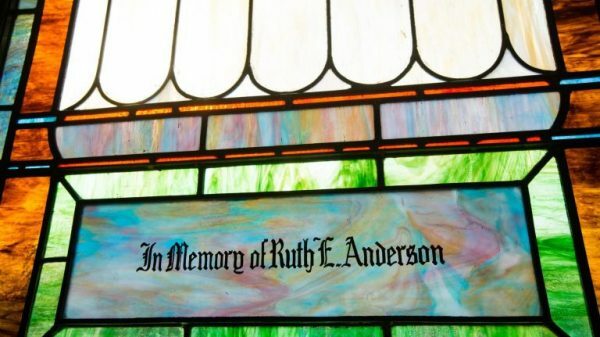 Restoring your church stained glass offers a multitude of different benefits including retained antique value, sentimental value, and much more. While antique stained glass is not necessarily fragile, it does need to properly cared for so that it doesn’t deteriorate and break. Fortunately, stained glass windows require very little maintenance and cleaning. Rather, caring for stained glass is all about monitoring its condition and being aware of possible factors that could cause it to degrade. 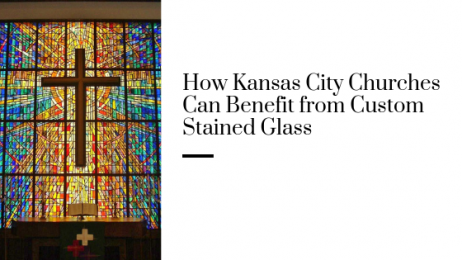 If your Kansas City church has stained glass windows, it’s important to take measures to protect you stained glass in order to preserve it for the lifetime of your church. Stained glass has always played such a large, significant role in churches throughout history. 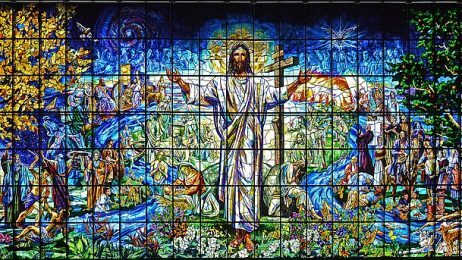 In the past, stained glass was utilized as a tool for teaching the illiterate about the Bible and Christianity. Some of the world’s most incredible stained glass features are housed within churches. Custom stained glass offers Kansas City churches the opportunity to really inspire while drawing in new, potential members for your flock. Custom stained glass has many benefits that any church can take advantage of. Custom stained glass can give your church personality and individualism. With so many churches throughout the Kansas City area, setting yours apart can draw in more congregation members as well as visitors from out-of-state. Custom stained glass can portray inspiring quotes to pertinent figures as well as biblical symbolism. Churches can showcase special imagery that enriches their flock while providing endless inspiration during each service. There are so many different techniques when it comes to assembling stained glass, providing open creativity for each property. From geometric shapes to hand-painted glass, virtually anything can be achieved. Stained glass also provides lowered lighting costs and improved privacy, all leading to a better worship experience. 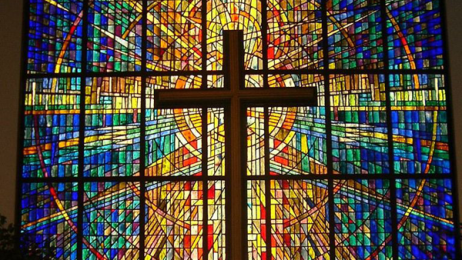 Kansas City Stained Glass specializes in custom religious stained glass. Our goal is to always provide inspirational designs that outlive us and can be treasured from generation to generation. Work with our stained glass artisans to create your unique custom stained glass design. We have some of the world’s most talented artists and can help you achieve incredible pieces of art. Working designs are always made with all of your input until you decide to finalize a design. 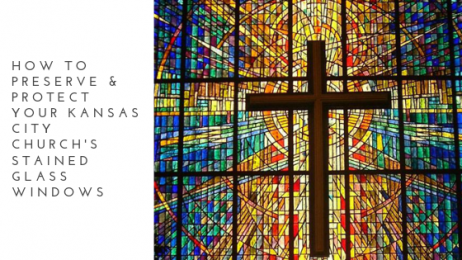 For more information regarding custom stained glass for your Kansas City church, please contact us! 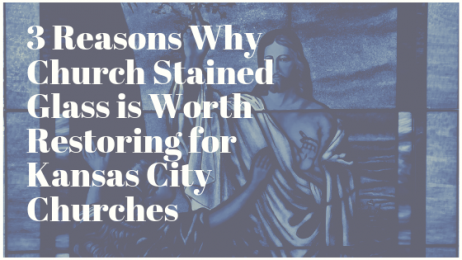 The country’s stained glass is in desperate need of repair because it is reaching the 100 marks–making stained glass window restoration a popular and necessary task for churches in the Kansas City area to undertake. In order to preserve these stunning pieces of history for the next generation–it simply must be done and all of Kansas will benefit from it because these vintage windows are rich parts of our state’s history. 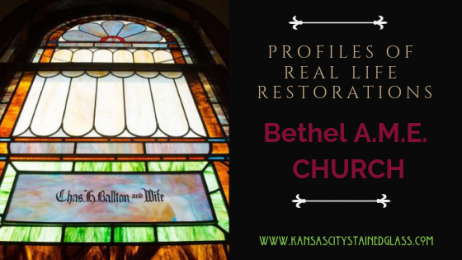 After we inspect your church’s glass we will use that information to formulate a bid including details about the time and cost for items like replacement glass, fixing braces, cleaning the stained glass where it is and/or removing glass for repair at our Kansas City studio. This is wonderful for church bodies because it gives you a good idea about the size, scope, and timeline of your project and assists you with any committee process or decision you may have to make as a group. Should we need to remove your stained glass and take it to our Kansas City studio, we will first, delicately remove the windows from their framing, then package them carefully for transport to our studio for restoration. In our professional stained glass studio we disassembled the windows, remove and recycle caming and skillfully clean and repair every piece of glass. Once back together, the glass is returned to your church and installed back into position–likely looking even better than it did 100 years ago! If restoring your church’s stained glass is something you are interested in, please reach out to us at Kansas City Stained Glass today! We have stained glass locations across the US and would be happy to bid on your upcoming project. Being one of the very lucky residents that own a beautiful, traditional Victorian home definitely has its own set of benefits. Victorian homes are filled with character and can be highly desirable among potential buyers and lovers of history and art. 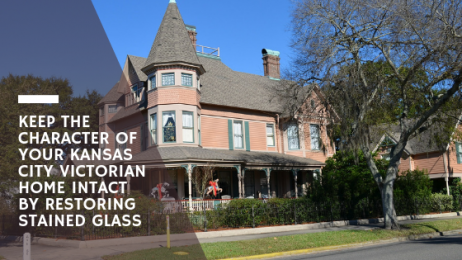 Many historical Victorian homes located throughout Kansas City feature original stained glass windows that further promote the authenticity and character of the home. These antique stained glass windows require restoration once they reach the 75-year to 100-year age range. There are numerous benefits when it comes to restoring the original stained glass within your Victorian home. These original stained glass features often have high antique value, making preservation financially beneficial for your property. Proper restoration can maintain antique value while also returning the stained glass back to its original condition. Stained glass restoration can actually extend the lifespan of your original windows for another 100 years. This allows you to keep the character in your Kansas City Victorian home intact while allowing future generations or future buyers the opportunity to treasure these stained glass windows as well. Antique stained glass restoration can be an extensive process but is well worth maintaining curb appeal, property value, and historical appeal. For more information regarding stained glass restoration for your Kansas City victorian home, please contact us! Whether you live in Brookside, the Bottoms, or the Art District, you love two things; beautiful art and a sense of history. Kansas City has a persistent and growing appreciation for both. If your future plans involve an old world trip to Paris. Do not miss a trip to Sainte Chapelle, located in the center of the Île de la Cité in Paris. It may seem a sidestep just several minutes walk from Notre Dame. However, the unparalleled examples of the church stained glass housed in its upper chapel will mesmerize with the marriage of High-Gothic architecture and the scintillating beauty of light-play. Tucked into the grounds of the Palais de Justice, and a short distance from the famed French flower markets, Sainte Chapelle houses the unique and awesome beauty of 13th-century stained glass commissioned by Louis IX. The religious traveler will no doubt be richly rewarded with a visit to one of the locations that solidified France as a hub for Christian pilgrimage. A French holiday for those piqued by history or art appreciation would not be complete without the gemstone light-filled chapel in Sainte Chapelle either. A perfect way to memorialize your trip of a lifetime would be to bring the unique beauty of Paris back to Kansas City. Building upon hundreds of years of technique, and perfecting their proficiency with more than 20 years of experience in religious, commercial and home stained glass design Kansas City Stained Glass are masters of design, installation and restoration. The dappled prairie light streaming through a unique piece of stained glass can set your home apart. Kansas City Stained Glass Owner Martin Faith has appeared on various TV programs on HGTV, DIY Network, NBC, and CBS. With the convenience of their Mission, KS location which services the Metro Area and beyond, bring beautiful old-world art into your distinctive home. For a personalized collaboration to bring the beauty of Sainte Chapelle, or a more contemporary or prairie-style glass piece to your uniquely beautiful home. Contact us at Kansas City Stained Glass today! 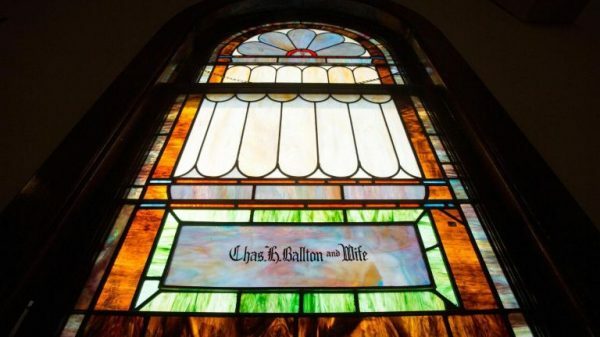 Near, far, and around the world, our most cherished houses of worship house stunning stained glass art that inspires their congregations to greater spirituality and appreciation of the divine. To revitalize and preserve your local St. Charles church’s stained glass for future generations, restoration is a key part of the maintenance process.